Villa designed in wood by architect with a total surface of 175 m², with 3 bedrooms, a mezzanine of about 20 m² with parquet, a big living room of 36m², a kitchen of 9 m², terrace of 50 m² the length of the villa, three meters wide and equipped with blinds to protect you from the rain, the wind and from being seen. 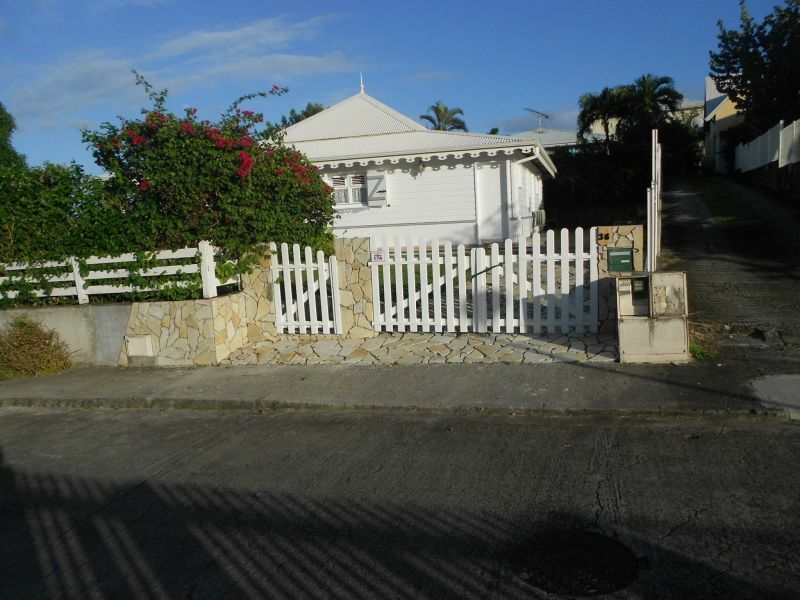 It faces a flower garden of 300 m² with wooden fence and swimming pool. 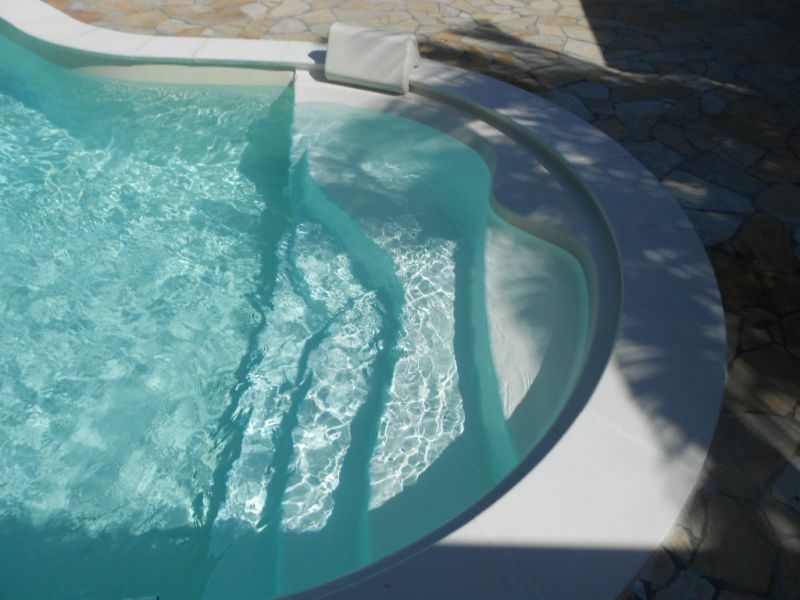 The swimming pool is discreet, but can be supervised for the protection of young children with an infrared alarm system. The living room opens onto the terrace and three main entrances. The villa is designed for outdoor living. Living space of 105 m². 4 or 5 cars can easily park on the grounds. The kitchen is well equipped and opens onto the terrace. 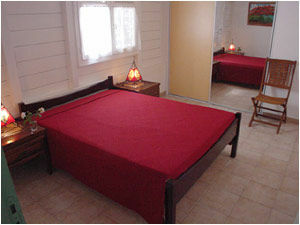 Three air-conditioned anti-dust mite, anti-pollen bedrooms, with double beds with mosquito net. 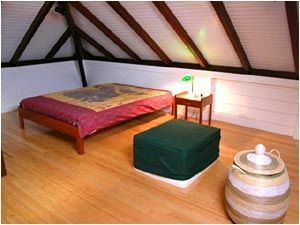 The mezzanine is not air-conditioned but is equipped with a double bed and a pullout bed for two. The villa thus proposes three air-conditioned bedrooms + a mezzanine. The very spacious living room includes a corner lounge with a double sofa pullout bed, rocking chairs, a dining area with a table that's easy to move, and a lot of space. 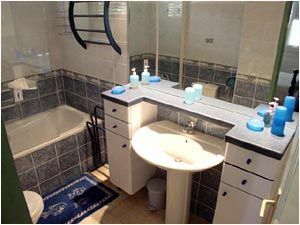 There is a bathroom and a shower-room, each with W.C.
On the road to SALINE, in LES HAUTS DE BEAUREGARD. 36 LES HAUTS DE BEAUREGARD 97227 SAINTE ANNE. On the same site, access marked out from the airport if you have GOOGLE EARTH on your computer. And then, arriving from Marin, do not enter Saint Anne but drive to Salines. 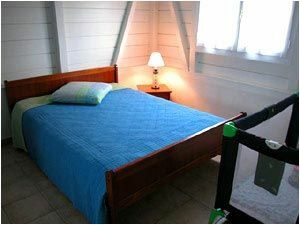 Very welcoming, spacious and very comfortable house, well located ... great patio which is perfect since we live outside Martinique. We hope to return one day. 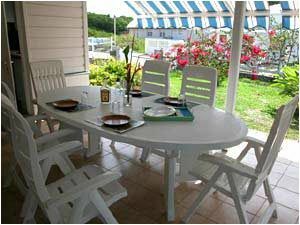 Très bon accueil, maison spacieuse et très confortable, bien située...super terrasse ce qui est parfait puisqu'en Martinique on vit dehors. Nous espérons y retourner un jour. We were made very welcome by the owner, very friendly and helpful. 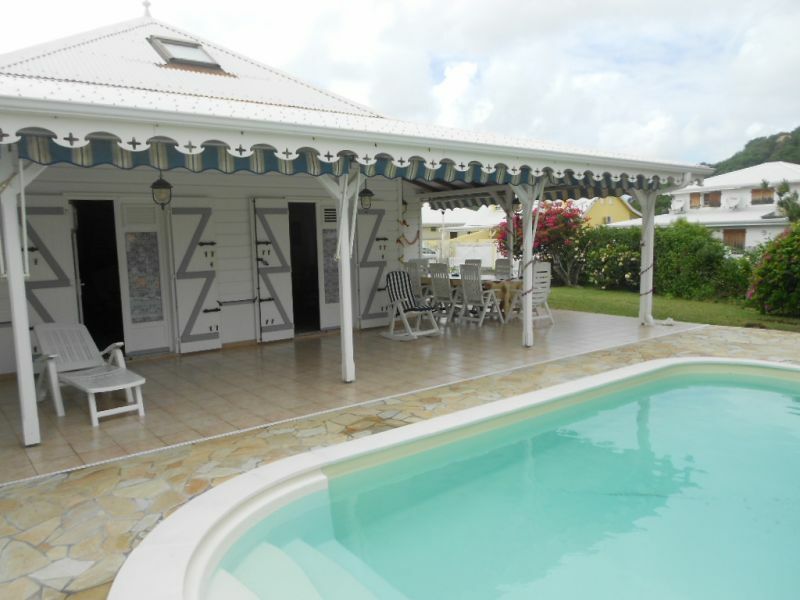 The villa is fully compliant to the announcement, and is ideal for a family with young children. 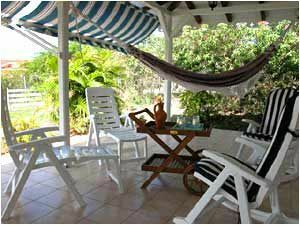 The villa is very pleasant, especially the terrace, which is spacious and covered thereby be protected from sun or rain. Nous avons été très bien accueillis par le propriétaire, très sympathique et prévenant. La villa est tout à fait conforme à l'annonce, et convient parfaitement à une famille avec enfants en bas âge. 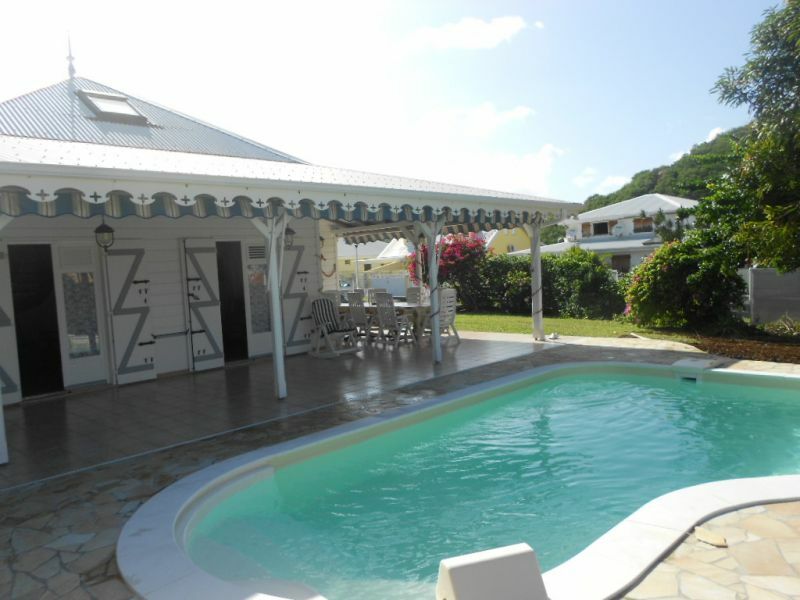 La villa est très agréable à vivre, surtout la terrasse, qui est spacieuse et couverte, ce qui permet d'être à l'abri du soleil ou de la pluie. La propreté est irréprochable. Rent well located 4 minutes from the beach of Salinas. Owner who is trying to better satisfy its customers. 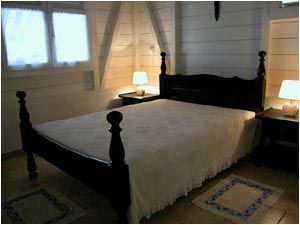 The prices are for 1 or 2 people for the first week in the off season, and go up to 9 people in high season. Do not hesitate to call up.